Part biography of the genius John Von Neumann, part story of the development of game theory, and part history of the relationship between the academy and the defense department in the cold war era, this book (and everything else Poundstone has written) is wonderful. 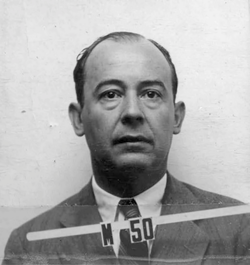 The man at the center of the story, Von Neuman, is a fascinating character. A child prodigy, a refugee from Nazi Germany, a boozer, a member of the Manhattan Project team, the developer of game theory, a pioneer in computing, a lover of ancient history, a major influence on U.S. cold war strategy, and a secular Jew, who, on his death bed at the tragically young age of 53 apparently converted to Catholicism. Von Neuman’s life alone is reason enough to read this book, but Poundstone does more. He expertly explains the profound developments in logic and mathematics happening in the 19040s and 50s and the ways in which the Department of Defense used these developments to advance its agenda in the cold war, and prepare for nuclear war. There’s a lot of math here, but even someone like me (i.e. a lawyer who never made it past calculus) can understand it. Poundstone is excellent on focusing on the important concepts rather than the technical details. Its been almost ten years since I read this book, but one vignette where Poundstone decribes Von Neuman packing a volume of the Cambridge History of the Classical World with him for a car ride has always stuck with me. I love the idea of a man so curious, so insatiable in his need for knowledge that he packs academic texts for a ride to the store.